Some times I have strange itching on my head. no lice or dandruff. when I see in mirror small bumps at the bottom of hair. 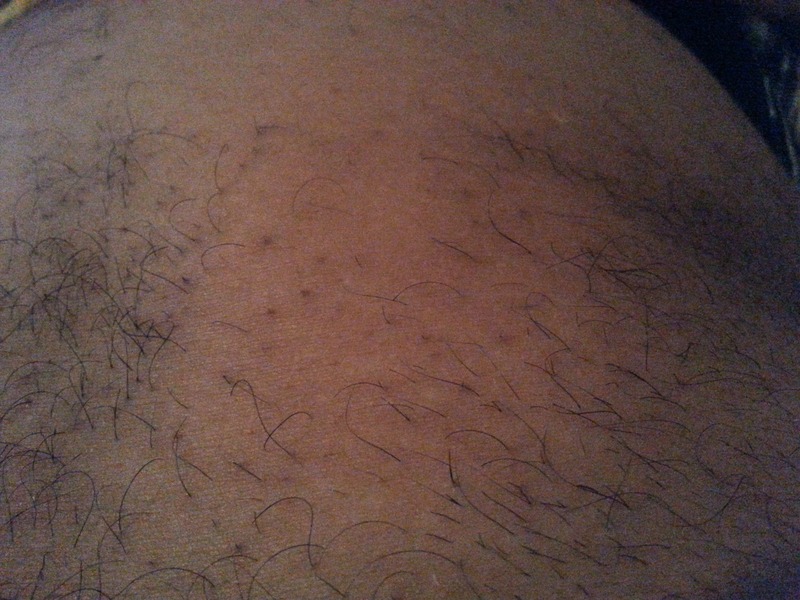 Recently I have noticed strange red spots at the some of the hair follicles on my belly and thighs. 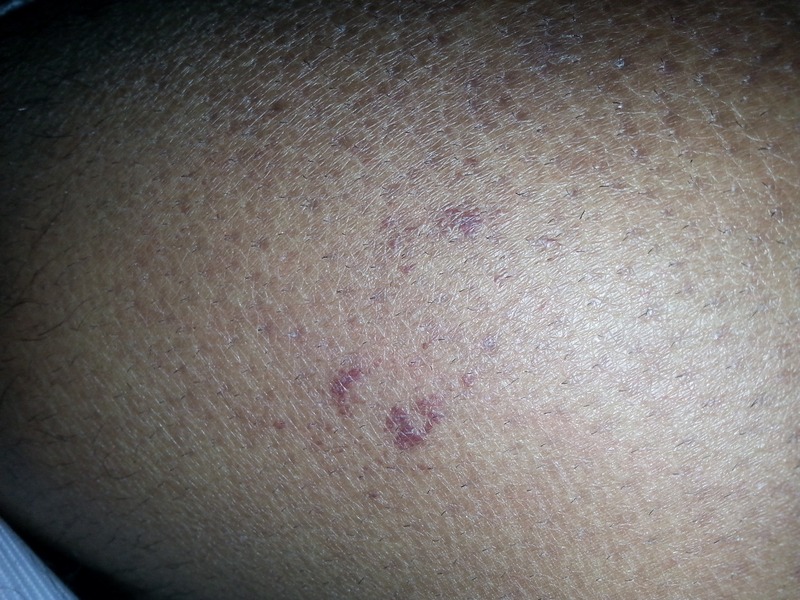 no pain, no itching on these spots but after 3-4 days the hair come out just like that and no hair growth after that. 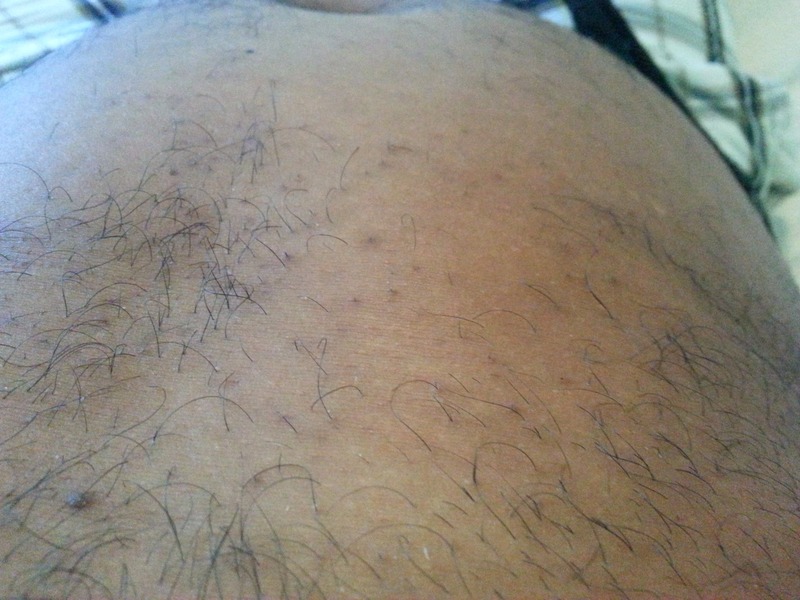 now i got patches of skin with no hair at all on my belly. it spreading very slowly. no skin colour change its same but patches with no hair at all. I am 33 year when I see doctor he said blood pressure or stress. on right thigh i have a red ring like thing but slowly it disappearing. pictures attached. A bit worried what is this disease? any one have any idea on this?